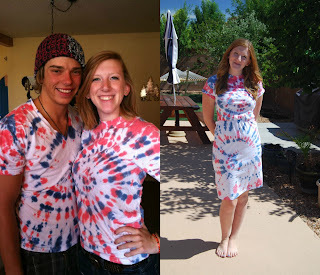 This was once a DIY tie dye project and I ended up refashioning it a year later. Its just in time for the Fourth of July! 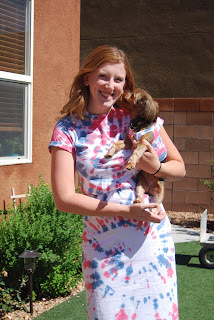 Cute dress. I love to work with old tee shirt. T-Shirt dresses are the most comfortable! Thanks Cindy!! !